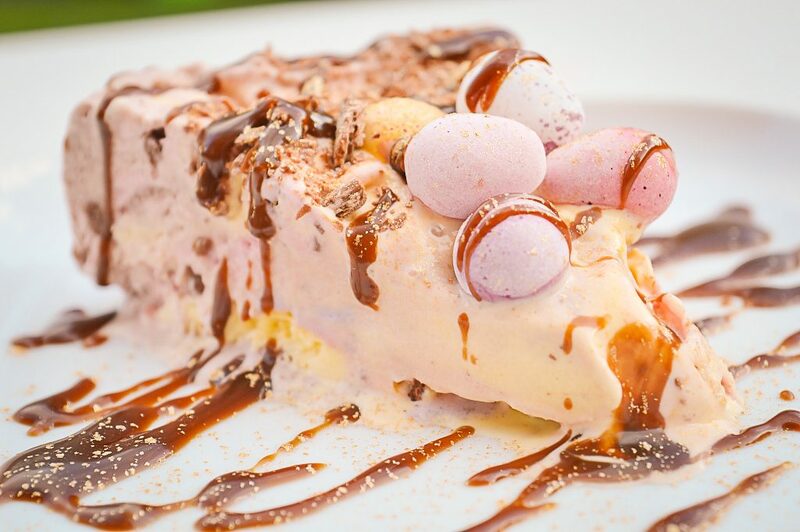 If you ever need to make a delicious dessert that is sure to impress, this Easter Ice Cream Cake Recipe is the easiest option for sure. You can personalize it however you want and experiment with so many different variations to make your perfect combination. 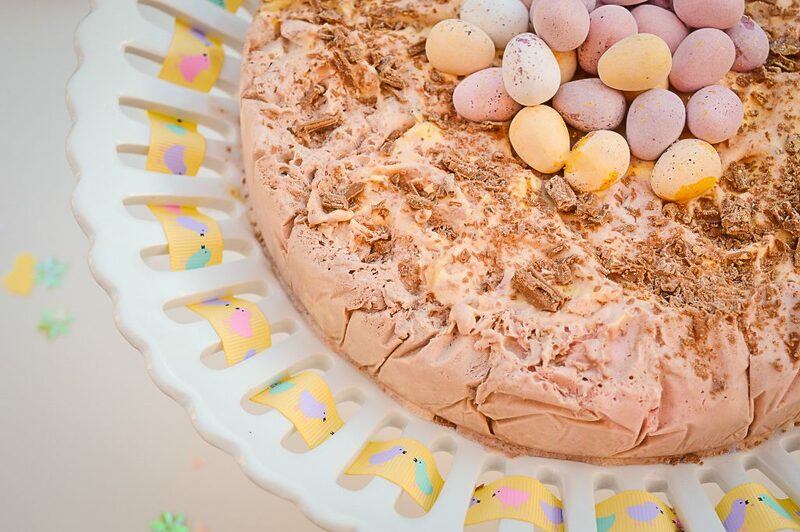 This fun and colorful Easter Ice Cream Cake Recipe is the perfect treat for making the most of all the Easter chocolate! You should start making the ice cream cake a good couple of hours before it is needed as you need time to let the ice cream melt a bit and then freeze again before serving. 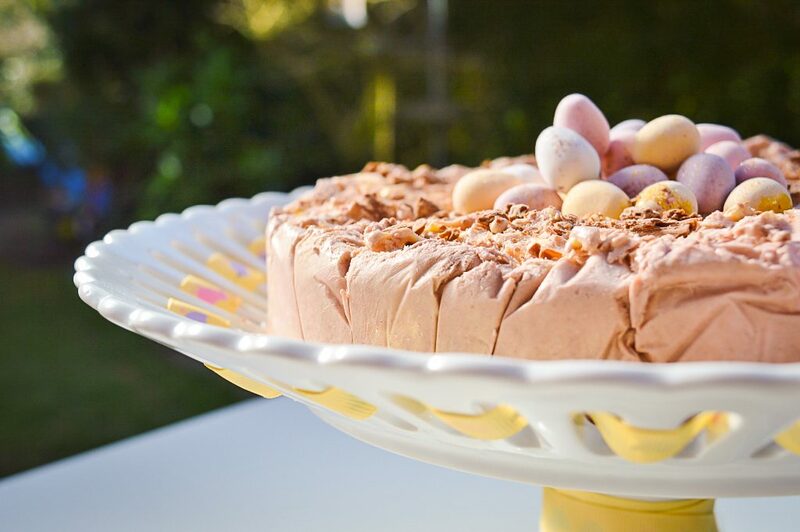 Leave the ice cream to soften and line a spring form circular cake tin with cling film. Ensure the cling film is hanging around the top so you can lift it out easily. Break the bourbon biscuits up into a mixture of small crumbs and a few larger pieces for extra crunch. Spoon the ice cream into the cake tin but only use half of the chocolate otherwise it will turn too brown. Swirl the flavours lightly together whilst stirring in the bourbon biscuit crumbs and smaller chocolate eggs. To make the chocolate sauce, melt the dark chocolate, double cream and golden syrup in a saucepan and add the camp coffee or espresso powder to taste. The coffee helps intensify the rich chocolate taste. 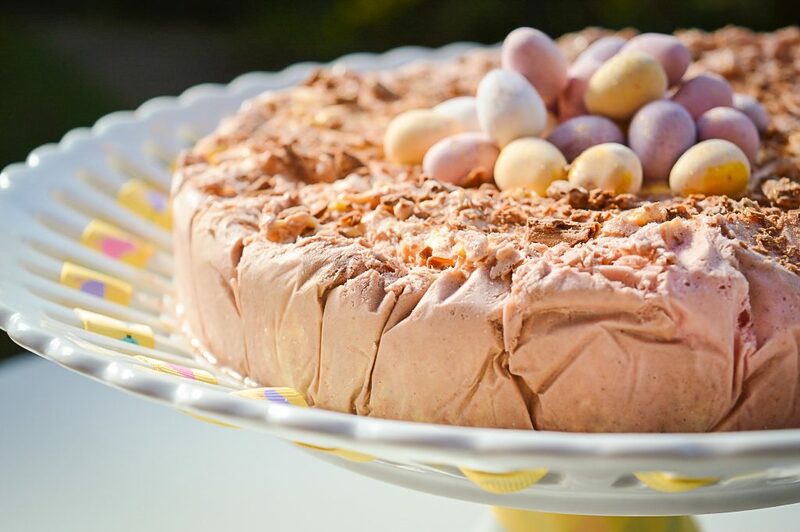 When you're ready to serve, sprinkle over crushed flake and add the mini eggs to the middle of the cake. I added some edible glitter to add some extra sparkle. Serve with the chocolate sauce. 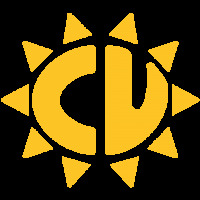 Do you think you might make this? Can you think of any other great combinations for a delicious ice cream cake?